"Education Experts will tell you that a Half Day Kindergarten Program is not enough for most Children. 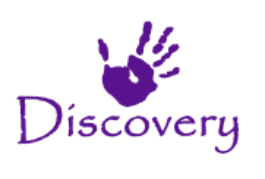 Discovery's Kindergarten Enrichment Program supplies an Additional 2-1/2 Hours of Learning a day to the Half Day Students of Morrisville & Pennsbury School Districts." Our Kindergarten Enrichment Class offers an Additional 2-1/2 Hours of Learning per Day to children in half day Kindergarten Programs in Morrisville and Pennsbury School Districts. At Discovery we communicate with the Public School Kindergarten Teacher to understand the curriculum they are teaching. We in turn provide a similar curriculum to make sure the Students are presented with a consistent teaching process. is the promise of a controlled, small classroom of only 12 Students!